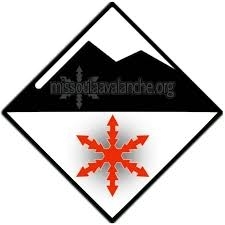 The West Central Montana Avalanche Foundation (WCMAF) is a 501(c)(3) nonprofit organization. The mission of the WCMAF is to support public avalanche awareness information and education opportunities for all backcountry user groups. The WCMAF operates in support of West Central Montana Avalanche Center (WCMAC) programs and avalanche education initiatives. The WCMAC generates avalanche advisories for the West Central Montana advisory area and provides information to the public regarding terrain, weather and snow conditions that contribute to avalanche danger. The WCMAC is assisted by Forest Service employees on the Bitterroot, Clearwater and Lolo National Forests who contribute field observations and provide infrastructure support. “Missoula Avalanche” is the friends group or WCMAF nonprofit entity that engages in fundraising and outreach in support of WCMAC programs and avalanche education initiatives. Goals for winter 18/19 include furthering the development of the WCMAC advisory program and motorized avalanche education initiative. The WCMAF, in partnership with the Lolo National Forest, provides the website (missoulaavalanche.org). The website provides public access to WCMAC advisories, avalanche education opportunities and backcountry resources for individuals to better manage their own risk in avalanche terrain. The WCMAF provides and maintains four avalanche transceiver training parks which are located at Lost Trail Pass Ski Area, Lolo Pass Visitor Center, Montana Snowbowl Ski Area and the Seeley Lake Driftriders Warming Hut (west of Marshall Lake) near Seeley Lake, MT. We offer education opportunities for diverse audiences. Is your organization is interested in sponsoring an avalanche safety program or avalanche transceiver workshop? Are you a teacher looking for someone to give an avalanche awareness presentation or are in need of education materials geared for a younger audience?